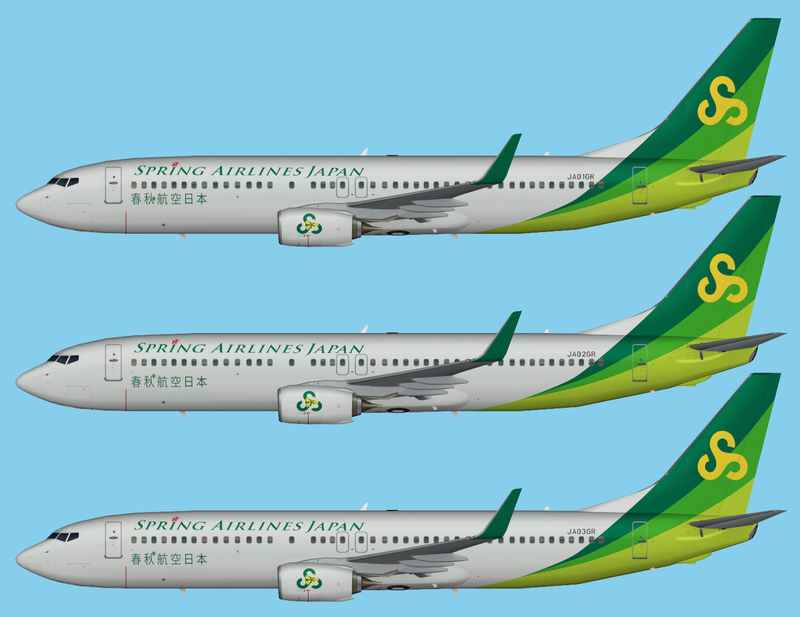 Spring Airlines Japan Boeing 737-800 Winglet Fleet for the FAIB Boeing 737-800 Winglet SN FSX base model. These are FSX textures only. The FAIB Boeing 737-800 Winglet SN FSX base model is required. FS9 paints will be released at some point, but at the moment I’m really busy IRL, so I didn’t had the time to make the FS9 paints. Is there an estimated date that an FS9 set of textures may be available? Thanks.